Bring your school class, scout troop or home-schooling group to Hammerspace where we have all the resources you need to shape young minds. Hammerspace can be your destination for STEAM based field trips and activities for your school or a location for activities for your scouting group. School Field trips are available for $15 per student,for up to 20 students in a group. Groups larger than 20 students are discounted to $10 per student. Our basic field trip includes information about makerspaces, the maker movement, digital fabrication, 3D printing, laser cutting and more. Students will tour the workshops and get hands on with some amazing creations from our community. Longer events with activities are available for smaller groups like gifted student programs or robotics teams or scouting groups. Pricing depends on the scope and materials involved in the activity. Call or email to arrange these details. 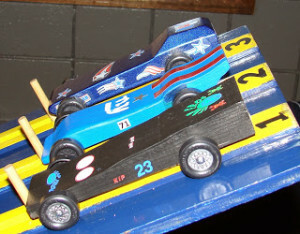 Pinewood Derby build nights are available for $20 per scout. You must pre-schedule an event for your entire scout den or troop. Other workshops are available on request. Ask us how we can meet your groups needs with a single event or a discounted group membership for your school, club, or scouting organization. We also have special activities available for birthday parties and other celebrations. Call us at 913-686-6562 and ask us how we can help your group get creative.